Thanks to its $731 million settlement with the United States Department of Justice, Isle of Man-based PokerStars has DOJ permission to re-enter the American market only if it can obtain a license under a state or federal regulatory framework. For years the company continued to operate in the country in the face of the Unlawful Internet Gambling Enforcement Act of 2006. 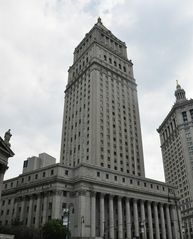 The legislation convinced some of its competitors to exit U.S. cyberspace, but PokerStars, along with Full Tilt Poker and Absolute Poker, stuck around and eventually met their day of reckoning with the feds in April 2011. Nevada, with its heavy focus on the gaming industry, is leading the charge in the state-by-state legalization model. The Silver State’s gaming regulators have adopted rules for the industry and already licensed three companies to soon begin web poker business. The first hand of real-money play under the supervision and taxation of Nevada could be dealt before 2013. Could PokerStars find a way in? With its acquisition of former rival Full Tilt, PokerStars has added to its huge database of real-money players and could be attractive to Nevada, said State Assemblyman William Horne, sponsor of Nevada’s online gaming bill that was passed last summer. Horne is also a member of Nevada’s Gaming Policy Committee, which is headed by the governor. Before the federal indictments of the leaders of the major offshore poker sites operating in the U.S. were unsealed, PokerStars had been lobbying hard in Nevada to get real-money online poker authorized. Despite online gaming always being a vital issue for the state, the company was a driving force behind Assembly Bill 258. Former Nevada lawmaker Richard Perkins, who represented PokerStars during its 2011 lobbying efforts, did not return a request for comment. An early version of the bill showed how badly PokerStars wanted a foothold in Nevada. The company was willing to pay Nevada four percent of its rake from the rest of the world. PokerStars’ involvement with Nevada went so far as to land a “strategic partnership” with Wynn Resorts, one of Nevada’s dominant casino companies. The deal disintegrated after PokerStars owner Isai Scheinberg was accused of money laundering, bank fraud and illegal gambling in New York. Scheinberg still remains at large and faces up to 65 years in jail, if convicted. According to Tuesday’s DOJ press release, Scheinberg “shall not serve in any management or director role at PokerStars.” However, that could be lifted upon resolution of his criminal case. 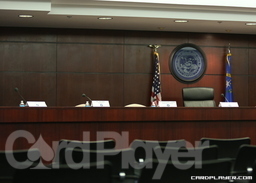 Horne said that he doesn’t think PokerStars was “candid” or “forthcoming” during its relationship with state lawmakers. He said that the company probably had an idea that a federal investigation was ongoing at the time. When asked if PokerStars has burned any bridges in Nevada, Horne said that isn’t the case. He said that he has confidence in Nevada’s gaming regulators to vet each company that applies to do online poker business in the state on a case-by-case basis. PokerStars “might be deserving” of a license, he said. Gaming Control Board Chairman Mark Lipparelli told the Las Vegas Review-Journal Tuesday that he wouldn’t comment on prospective applicants. He also told the paper that even though “perfection” can’t be expected out of applicants, he still believes many will fail in attempting to get approval in Nevada. At a recent Gaming Policy Committee meeting, Lipparelli defended Nevada’s position by saying that some large foreign online gaming companies have looked at the state’s regulatory standards and decided they couldn’t make the cut. It remains to be seen if industry giant PokerStars will decide to apply. It all comes down to money. With Pokerstars "scoop"ing up all the FT players, the revenue from taxing this "giant", should make all the "talking heads" stop and think. This next move could make or break the online poker world. Just hope they make the correct move. The decision they make today will take us far beyond what most of us can even imagine..Good Luck to us all. it would be absolutely ridiculous not to have Pokerstars and its new company FTP not be allowed in the US. They have the best software the best games the best player pool and one of the best customer support. Never had a problem with PStars, but have have many problems with politicians. So who should I trust with the better track record? As a Nevada resident and taxpayer for 5 years, it really scares me to think of all the tax money that would never make it into Nevada, if lawmakers do not partner with the website company that poker players around the entire world trust as the best customer service, best software, best tournaments, and worldwide player pool for taxing. It would be the biggest mistake in Nevada history to not partner/clear/OK with Pokerstars. The thought of this possible mistake really, really chills me to my bones; as Nevada needs the worldwide tax revenue source of Pokerstars in this troubled economy of state deficits. Politicians should stop telling us what we can or can not do with our own money..really sick of them , especially republicans.